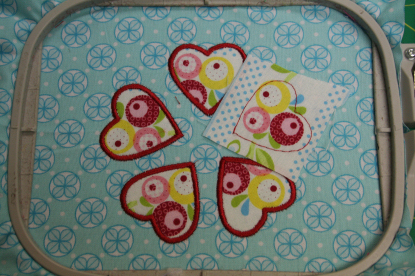 Scraps of fabric for petals if using the heart flower design. 1. Center the design in the lower third of the cotton. Embroider the design. iii. 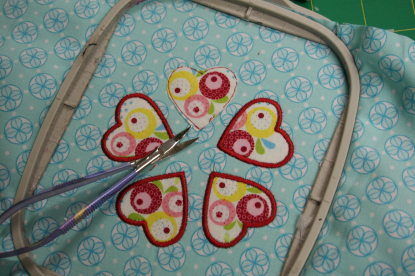 trim closely around the outside of the tackdown stitches. iv. 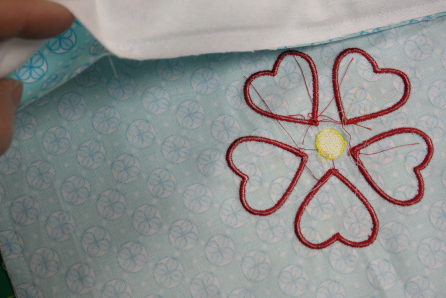 Sew the appliqué run to complete the heart petal. 2. Complete the design. Remove from the hoop and remove the excess stabilizer. 3. Place the cotton and flannel with the right sides together. 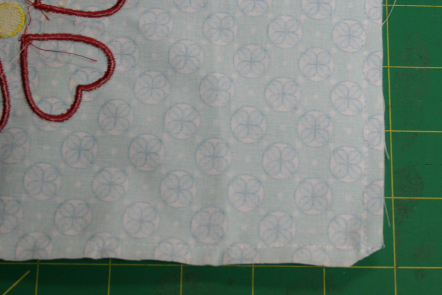 Using a 1/2" seam allowance, sew around the outside leaving and opening for turning. Trim the corners. Turn right side out and press. 4. Top stitch 1/4" from edge all the way around. 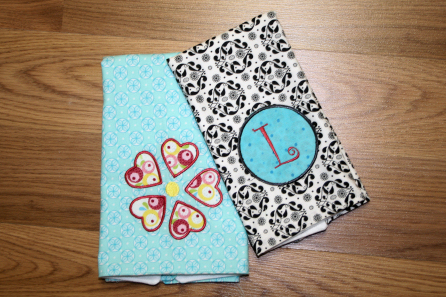 The size of these burp cloths can vary depending on the size of your scraps just so long as they are long and wide enough to stay put and cover the mother's shoulder well. We decided we like them more than the diaper ones since they seem to stay on the shoulder better and are less bulky in the diaper bag. For the other one pictured you just need an appliqué circle and either lettering software like Alphabet Xpress or an embroidery Alphabet like this. If you like the prefold diapers click here to see my Themed Burp cloth blog from awhile ago. Easy, fun and never two alike. Just my kind of project when the house is full of little girls. And if you had fun with these you might like to try these Designer Baby Ts. PS. Here are the instructions for the nursing cover. I do use many of the things you noted in this blog. 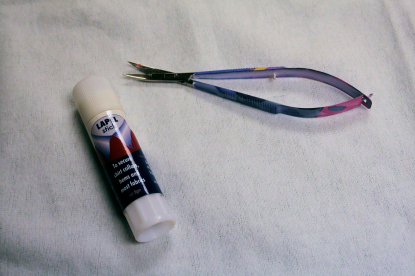 My snips (link in blog) are my most used item. Without them, I feel naked. Nice easy, practical project. Thank you. To make this great burp pad even better at staying on shoulders, after you do the embroidery and just before you stitch around, fold both front and back right sides together in half length wise (it will be 9 x 13 at that point). Cut on the folded edge about 2 1/2" in a quarter circle shape on each side, (hard to explain) - when you unfold it to sew around the edges it will look smilar to an hourglass. It will stay on your shoulder much better and parents love them!